Dale Curry’s love of gumbo runs deep. As a child, the author and former Times-Picayune food editor visited her grandmother in New Orleans, where she would delight in eating bowls of shrimp and okra gumbo. “I’ve always loved gumbo, and I love to make it for friends visiting from out of town, usually because they all say that’s one of the first things they want when they get here,” Dale says. 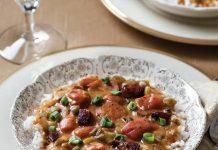 In her latest cookbook, Gumbo: a Savor the South Cookbook (The University of North Carolina Press, 2015), Dale offers 50 mouthwatering recipes for gumbo and other classic Louisiana dishes that will bring Cajun and Creole flavors to your table. 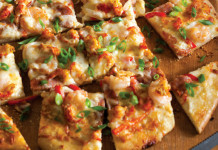 Gumbo features three types of recipes: gumbo, jambalaya, and lagniappe. Readers will receive a crash course in gumbo basics and straightforward instructions on how to create a variety of Louisiana’s favorite dishes. 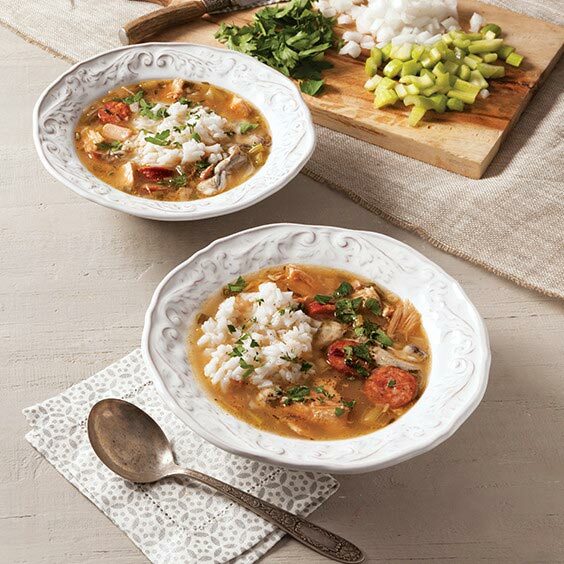 The cookbook features recipes for classics, like Chicken and Andouille Gumbo and Creole Seafood Gumbo, as well as unique variations, like a Quail Gumbo based on the notable versions by chefs Chris Kerageorgiou and John Folse. “I just thought those were the absolute best gumbos I’d ever eaten,” Dale says of their quail gumbos. In addition, the cookbook features contributions from chefs Bart Bell, Leah Chase, Emeril Lagasse, Donald Link, and Tory McPhail. 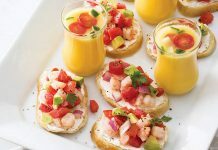 In the Lagniappe section, you’ll find recipes for dishes like Alligator Sauce Piquant, Grits and Grillades, Stuffed Mirlitons, and Oyster Dressing. Gumbo represents the best of classic Louisiana cuisine. “It was a combination of my own cooking over the years and my research on other people’s cooking…and putting them together in what I thought were the best versions that I could come up with,” Dale says. We know you’ll love her recipe for Turkey Gumbo. Leftovers from your Thanksgiving feast, along with spicy tasso and briny oysters, will make the perfect addition to a flavorful pot of gumbo. Place turkey carcass in a stockpot, cover with water, and bring to a boil. Reduce heat to low, cover, and simmer for 1 hour. When cool enough to handle, strain stock into a large measuring cup, and discard bones. If using oysters, strain oyster liquor into stock. If necessary, add water to measure at least 8 cups liquid. Set aside. In a large heavy stockpot, heat oil over medium-high heat. Add flour, and stir constantly until roux begins to brown. Reduce heat to medium, and cook, stirring constantly, until roux becomes the color of peanut butter. Add onion, green onion, and celery; simmer over low heat until translucent. Add garlic, and cook 1 minute more. Add 8 cups stock (or more if you prefer a thinner gumbo). Add bay leaves, thyme, salt, Creole seasoning, pepper, and andouille sausage; cover and simmer for 30 minutes. Add turkey meat and oysters, if using, and cook until oysters curl, 1 to 2 minutes. Remove bay leaves, and adjust seasonings, if necessary. Add parsley, and serve in bowls over rice. Garnish with parsley and thyme, if desired. Everybody has their own preferences with regards to the Trinity; you should definitely add bell pepper if you like the taste. I make mine with okra and tomatoes! No oysters tho!